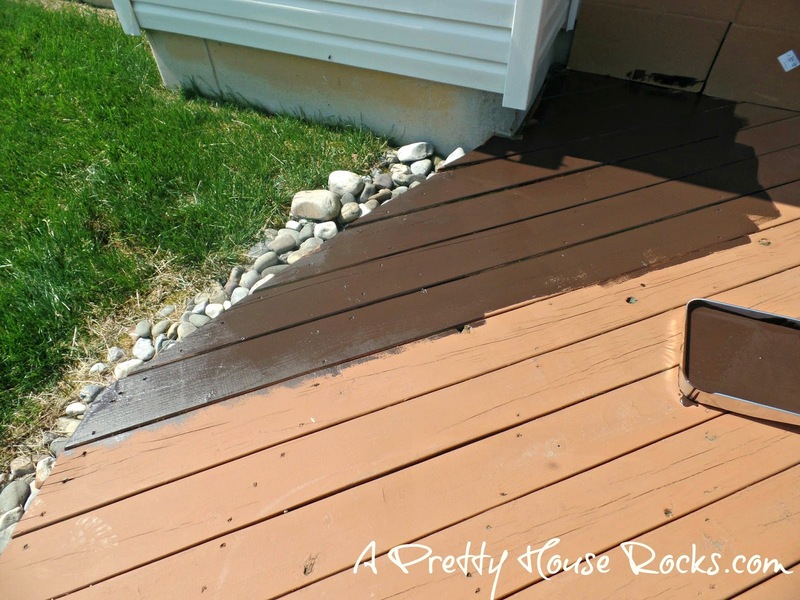 Want to Update Your Deck for the Summer?...Try a New Deck Stain! 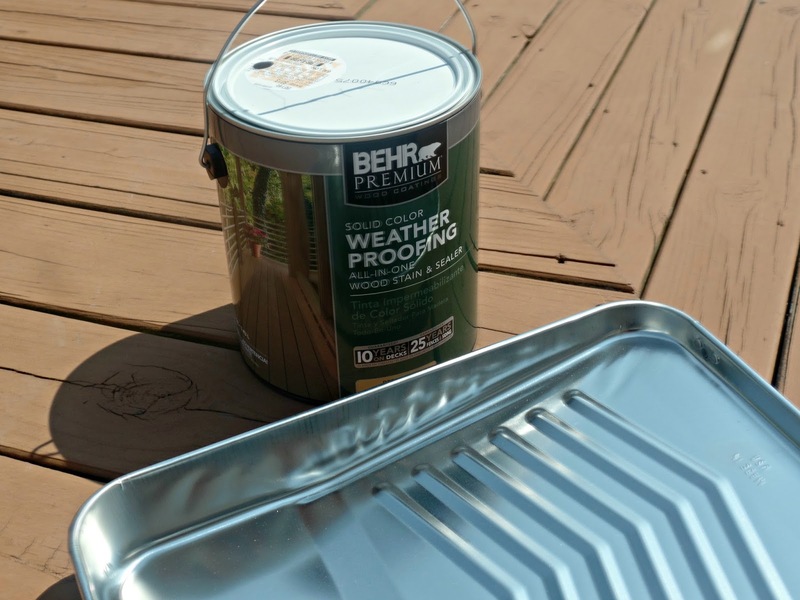 Because of the wear and tear of a wood deck it is a great idea to re-stain every few years to keep it looking new. 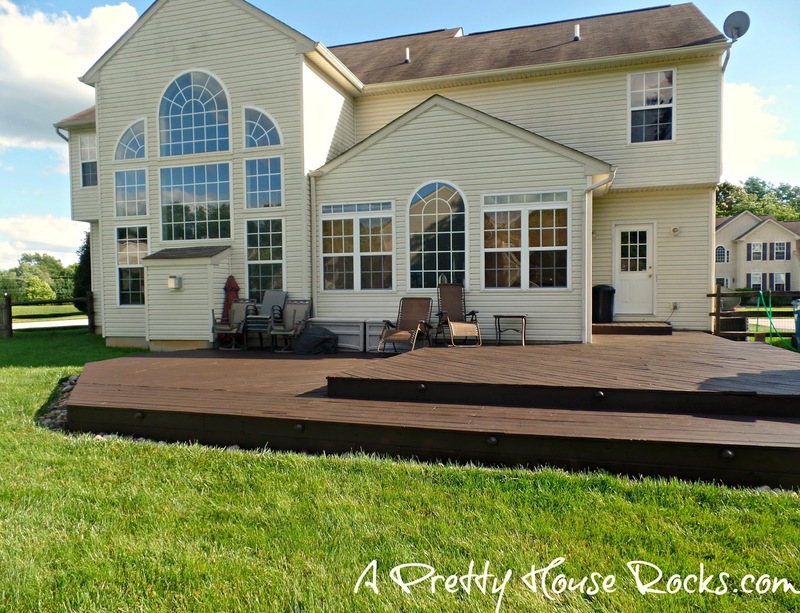 Our deck was in definite need of a make-over. We were tired of this almost orange stain we used a few years back. In our opinion it got uglier as each year passed. 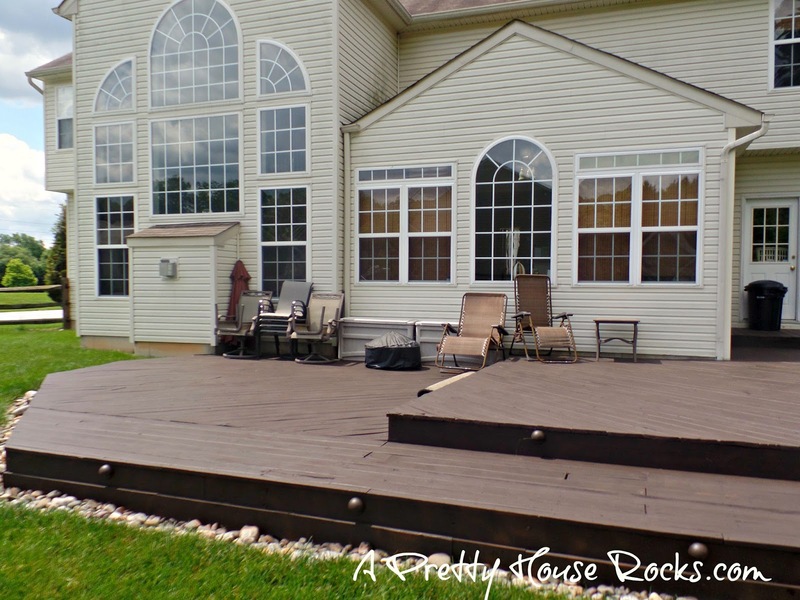 So we decided to begin our makeover by staining our deck. 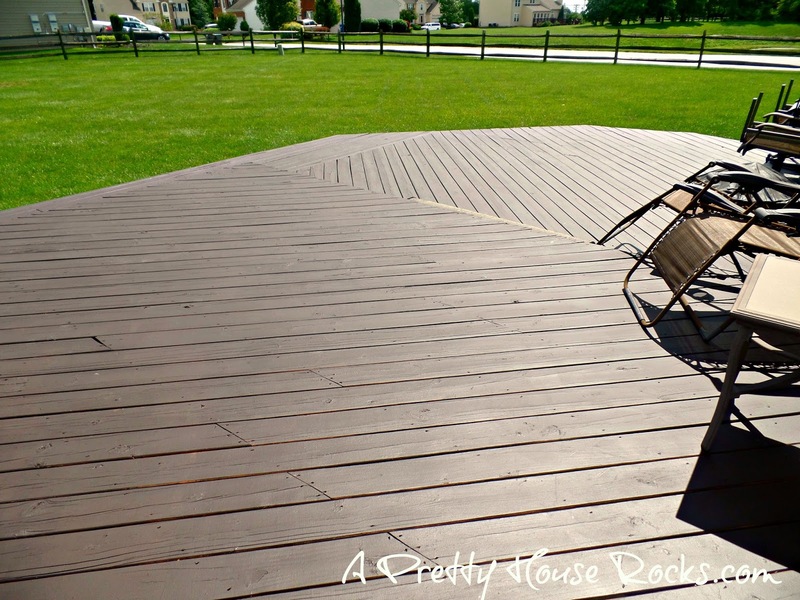 After some research we finally chose Cordovan Brown Deck Stain from Home Depot....we absolutely love the end result. 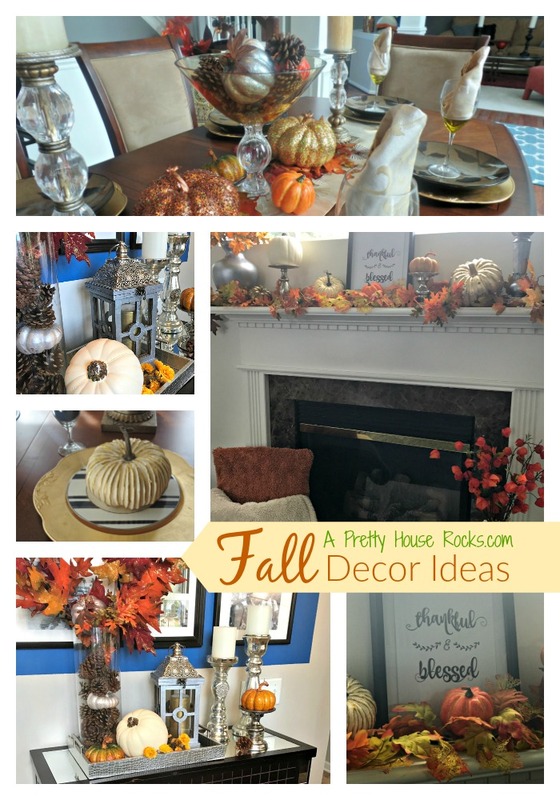 (See below) Adding and updating the decor is the next project. The previous color was okay...it actually doesn't look bad in this image. (See Below) But up close, it honestly looks like puke! Again, we chose the Cordovan Brown by Behr. Below you can really see the contrast between the two very different stains. 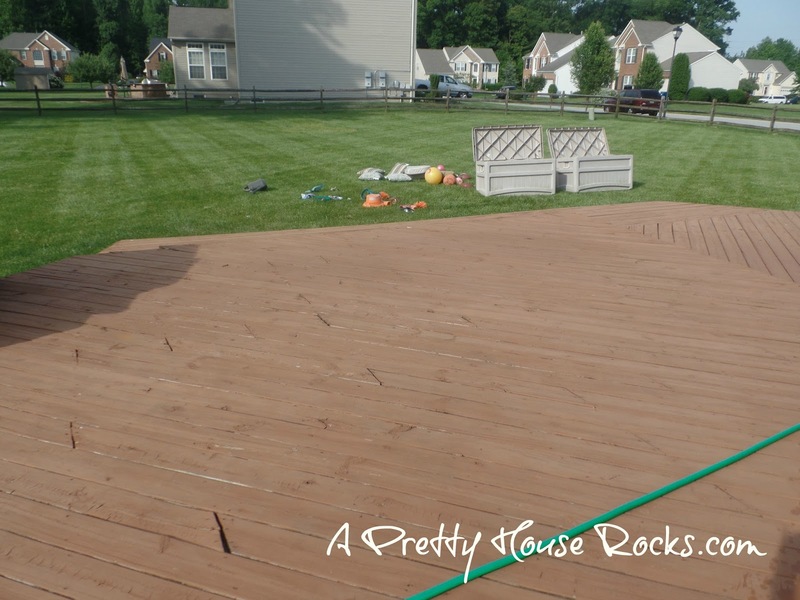 Please Note: We did not strip the deck prior to painting. We realize this this is an important step, especially if you would like the wood grain to be more visible. Maybe next time. 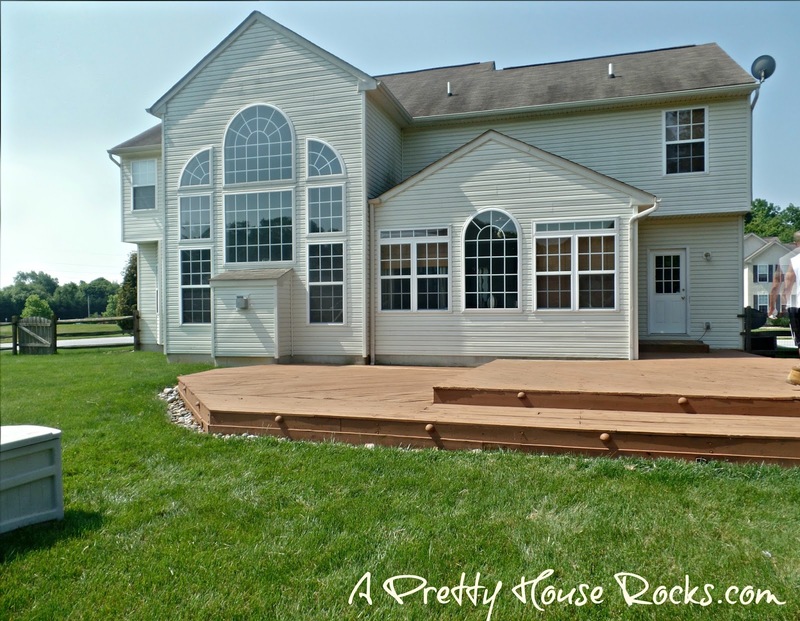 The next stage in our Deck update and makeover is to accessorize. I will keep you all posted! Thanks for visiting!